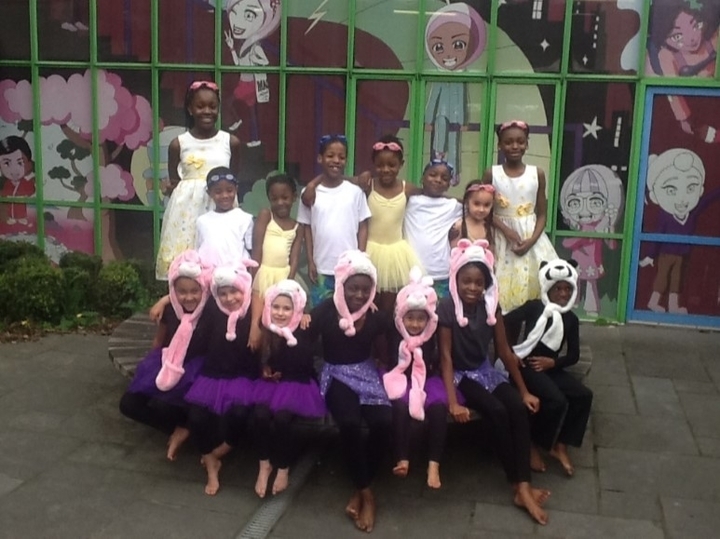 St Mary’s Catholic Primary School in Enfield has achieved this award for the third time. St. Mary’s Catholic Primary School offers an inclusive education to the children of families living nearby. Whatever their cultural, social, faith-expression or learning differences, all are welcomed and if necessary additional provisions are made so that the needs of individuals can be provided for. Some children at St. Mary’s experience additional medical or sensory problems and more than double the national average speak English as an additional language. A good proportion of St. Mary’s pupils are identified as having specific gifts, talents or areas of interest and some of these able children may also have additional needs in other areas. The senior leaders at St. Mary’s are proud to be able to say that their children ‘are used to women in positions of authority’ and yet the needs of boys are understood too and there are no expectations of pupil attainment or behaviour merely because of gender. Staff members at St. Mary’s are keen to celebrate each and every difference and encourage children to reach their full potential through sporting and arts enrichment activities and educational interventions. Clearly the inclusion practices of St. Mary’s Catholic Primary School are values-based and this becomes immediately obvious at the start of every day as the Head Teacher greets by name every child, parent and visitor in the entrance hall, asking about solutions to problems encountered the day before, acknowledging new shoes or hair styles – anything to reassure an individual and to help them feel like a valued part of the school family. The original St. Mary’s school building has been extended and refurbished several times since it was built and within the last five years a major building project led to the addition of an extra floor with new classrooms, group rooms, a fully resourced communications/ICT suite, library facilities and a roof garden. In addition, the reception/nursery play and outdoor education areas have recently been surfaced with child-friendly Astroturf. Overall the school is bright and attractive. Displays, working walls etc are of high quality and many are faith-based. Those displays in the main corridors relate to termly or half-termly projects and are well-maintained and regularly up-dated. The report of the most recent Ofsted inspection of St. Mary’s (March 2014) describes it as being an all-round good school and states that ‘pupils’ social, moral, spiritual and cultural development is a strength of the school. Attitudes to learning are very positive. The headteacher has been instrumental in promoting a highly positive ethos within the school’. During the day of the 2017 IQM assessment I was accompanied on learning walks and observed pupils engaged in both formal and informal activities. A very confident group of children came to meet me and they were not for one moment overawed by being asked to meet with an unknown adult visitor. They gave me the benefit of their experience as children with a variety of needs, all of whom felt are being successfully included as individuals into the school’s academic and social curricula. These were definitely children who had a voice! During my day at St. Mary’s Primary I was grateful to family members who came to meet me and share the stories of their children’s education. Parents were pleased to be able to say that at this school their home values are reinforced, that they are supported in their parental responsibilities and that school, home and church all work together very closely. One parent had been helped through a difficult and upsetting time with one of her children and felt that the successful outcomes had impacted positively on the whole family, and life both inside and outside of school. She told me that she “wouldn’t move them for anything in the world”.